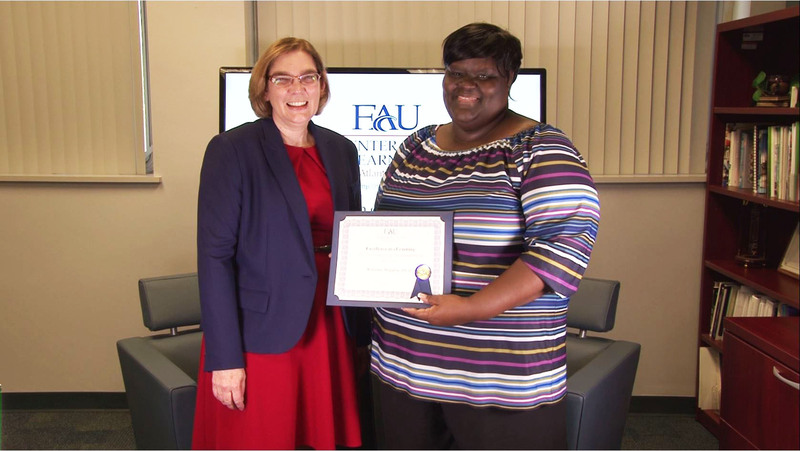 Dr. Victoria Brown expressed special thanks everyone that submitted their courses and shared their journeys to becoming online instructors at FAU . Please visit Dr. Brown’s post “The Center for eLearning Announces the Excellence Awards” for nomination result details. 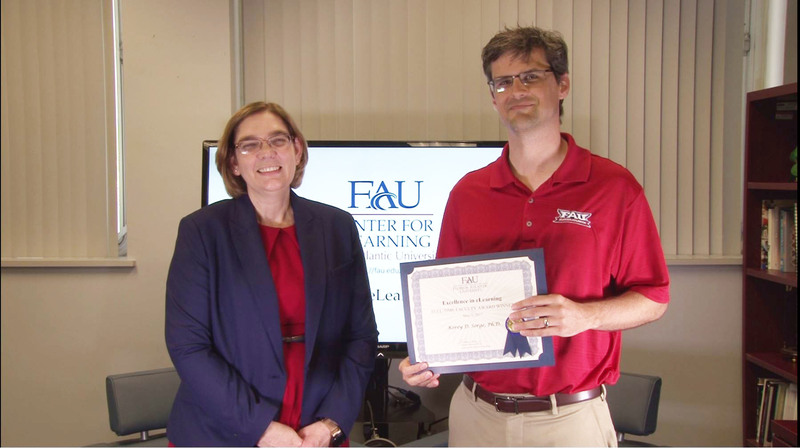 The FAU Excellence in eLearning Awards celebrate FAU faculty and administrators’ dedication to excellence, innovation, and student success in online education. All awards will be judged by members of the eLearning Advisory Board and representatives from the Office of the Provost. All materials submitted will be compiled for awards committee members. Committee members will review individually, then meet as a group to determine award recipients. Provide evidence of Demonstration of eLeadership, in narrative form. 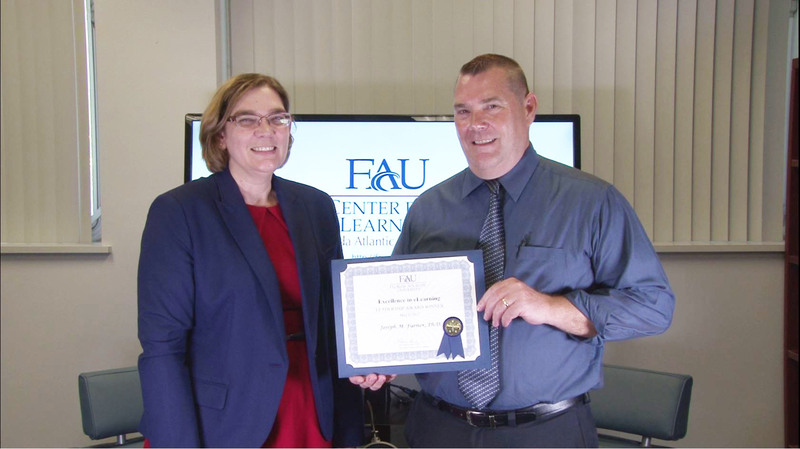 Excellence in leadership of eLearning programs or initiatives for growth of eLearning at FAU. Vision and innovation in affecting positive change toward the adoption of eLearning faculty development. Commitment to quality eLearning course design and facilitation. Commitment to ongoing eLearning faculty support. Upload 2 letters of support, one of which must be from your Chair or Dean or be email them to kmcpher1@fau.eduu. 1 or 2 Fully online (80% or more) course examples including full course number(s) for Blackboard or Canvas course. 1 or 2 Fully online (80% or more) course examples including full course number(s) for Blackboard course or Canvas. Use the form to upload 2 letters of support, or email them to to kmcpher1@fau.edu. One letter of support must be from your Chair or Dean. The other can be from a faculty colleague or FAU staff member. All nominees will be informed of the results via email. 2017 Excellence in eLearning recipients.